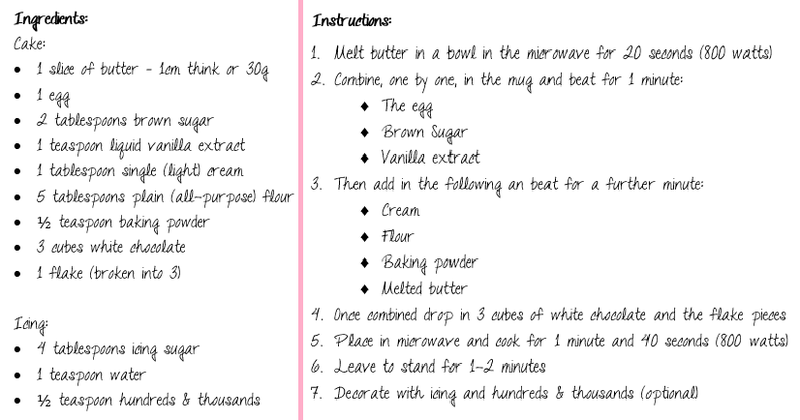 Beautiful You: Mug Cake | Vanilla Sponge & Melted Chocolate Recipe! 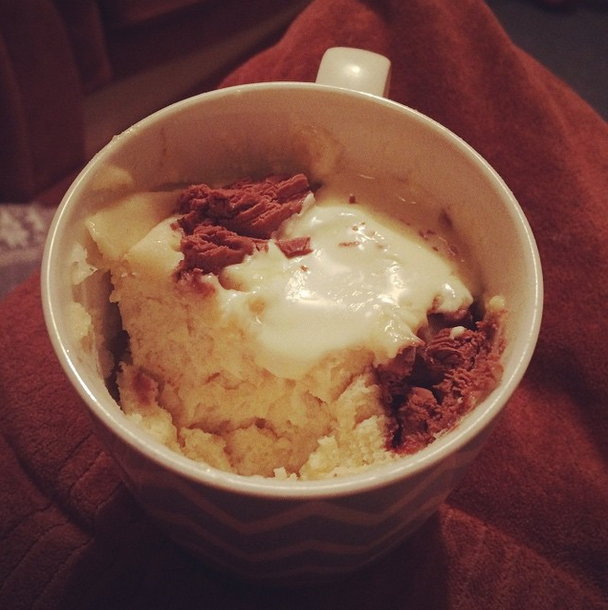 Mug Cake | Vanilla Sponge & Melted Chocolate Recipe! Over the weekend I share a picture of my mug cake and everyone went crazy for it and asked me to do a post on it. The original recipe for the basic cake is from a Mug Cakes book by which you can get here but I did change up the ingredients a little to give it something extra. I will tell you what you need and how to make it so I hope you enjoy! I clearly didn't decorate the top of mine because I thought that there was enough going on with the cake itself that it didn't need decoration. I do find that there can be quite a lot of cake so I would recommend sharing it with someone or if your hungry just eat it all! I hope you enjoying making this, if you do please either tweet me a picture or tag me on instagram I am @megan_godwin on both! I shall see you all tomorrow!